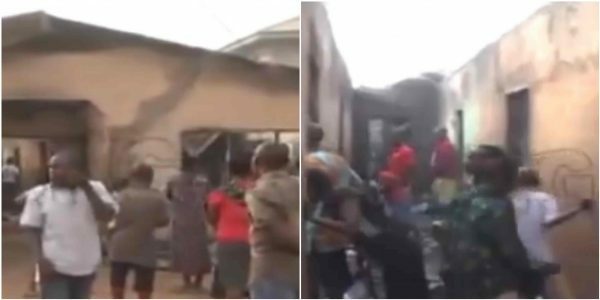 A couple and their baby have lost their lives in a house fire in Benin City, Edo State on Christmas day. The fire which reportedly started at about 2 am, ‎also razed the belongings of other tenants of No 27, Mabel Street, off Etete Road, Benin City. According to witnesses, the family members, husband, wife and their baby, who could not be identified, were consumed by the fire before help could reach them. The family died in the inferno.” A tenant, Mrs. Osayande Joseph, said she ran into her room to pick up her child and escaped through the back door. “The affected family was inside the house when the fire started. The man is a hard-working man.